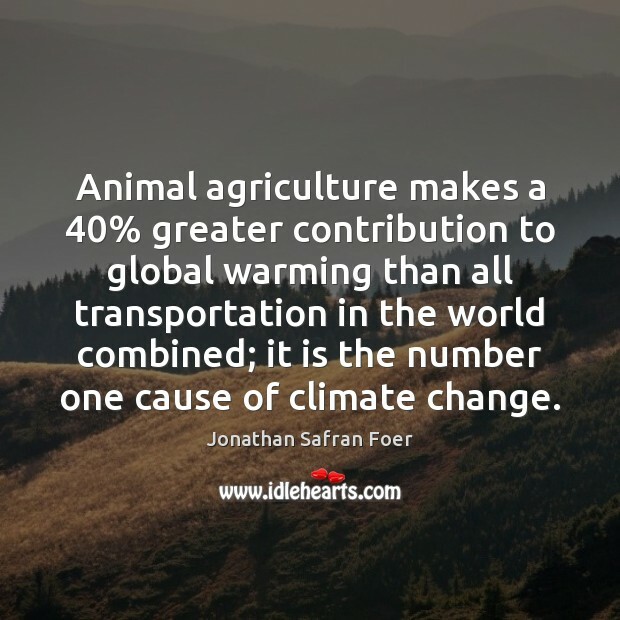 Quotations about Animal Agriculture. Quotes to stimulate mind and drive action! Use the words and quote images to feed your brain inspiring things daily! 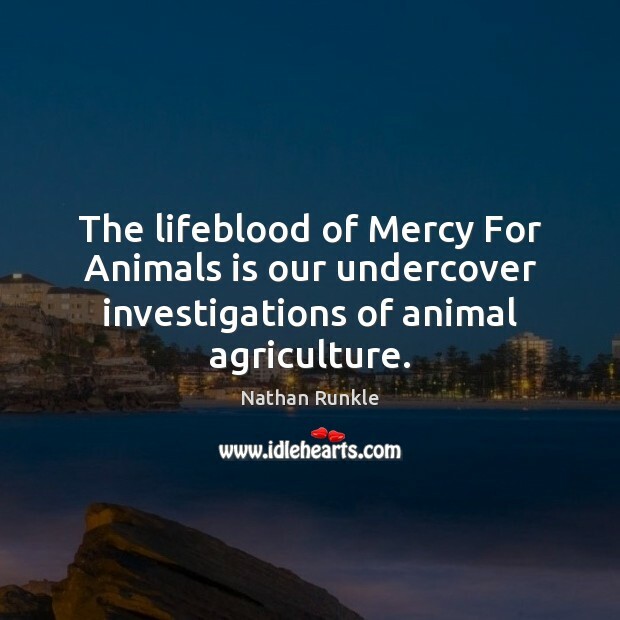 The lifeblood of Mercy For Animals is our undercover investigations of animal agriculture. 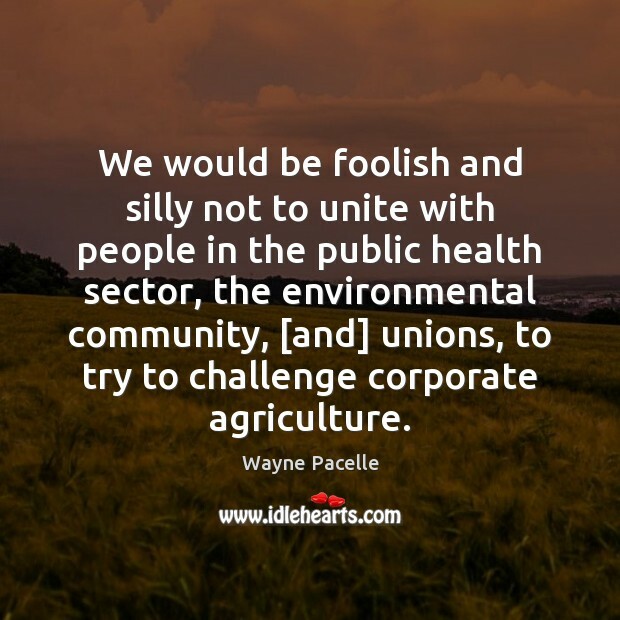 We would be foolish and silly not to unite with people in the public health sector, the environmental community, [and] unions, to try to challenge corporate agriculture. 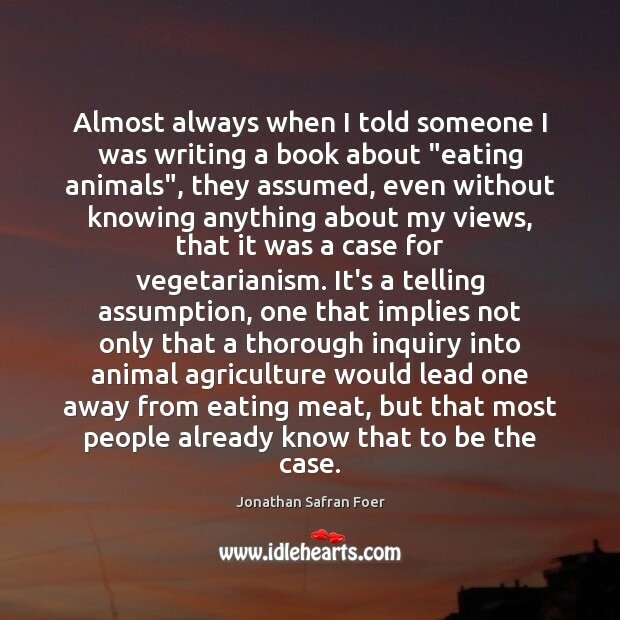 Almost always when I told someone I was writing a book about "eating animals", they assumed, even without knowing anything about my views, that it was a case for vegetarianism. It's a telling assumption, one that implies not only that a thorough inquiry into animal agriculture would lead one away from eating meat, but that most people already know that to be the case. 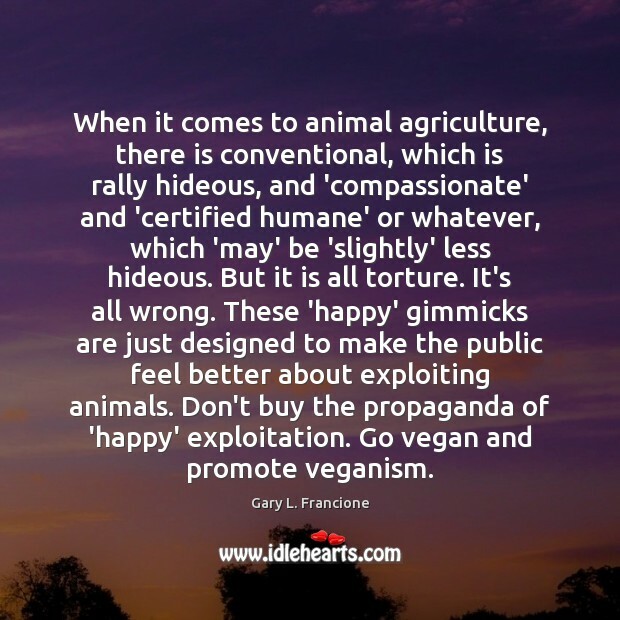 When it comes to animal agriculture, there is conventional, which is rally hideous, and 'compassionate' and 'certified humane' or whatever, which 'may' be 'slightly' less hideous. But it is all torture. It's all wrong. These 'happy' gimmicks are just designed to make the public feel better about exploiting animals. Don't buy the propaganda of 'happy' exploitation. Go vegan and promote veganism. 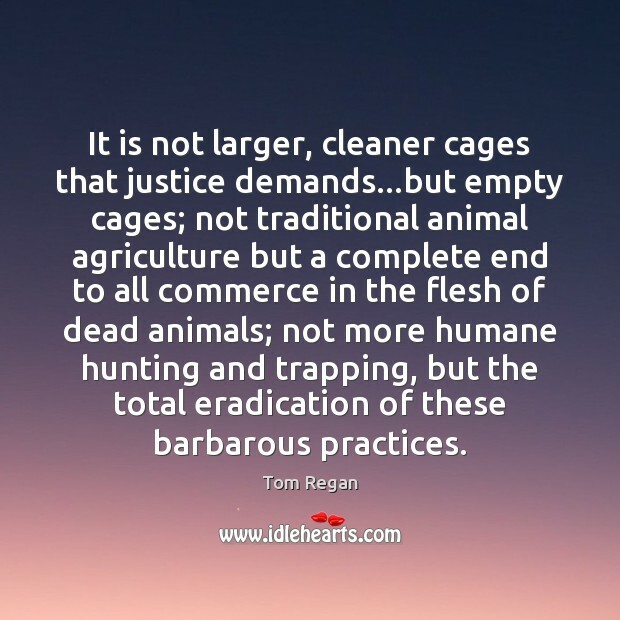 It is not larger, cleaner cages that justice demands...but empty cages; not traditional animal agriculture but a complete end to all commerce in the flesh of dead animals; not more humane hunting and trapping, but the total eradication of these barbarous practices. The UN special envoy on food called it a 'crime against humanity' to funnel 100 million tons of grain and corn to ethanol when almost a billion people are starving. 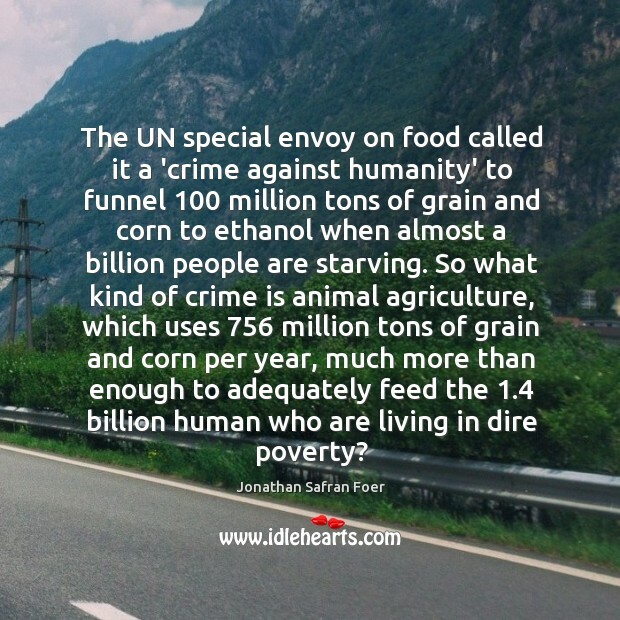 So what kind of crime is animal agriculture, which uses 756 million tons of grain and corn per year, much more than enough to adequately feed the 1.4 billion human who are living in dire poverty?